In today's world, most people have invested in one form of an air conditioner or another. 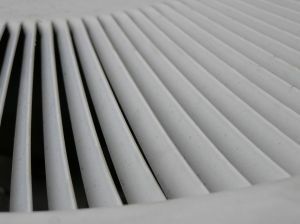 We have either window air conditioners in our homes or central air conditioners. They keep us cool in the extreme summer heat without fail; however, have you ever set back and looked at the costs of running an air conditioner? When compared to the common household fan the amount of electricity required to run an air conditioner is phenomenal. Dishwasher Fever - What these Large Appliances Offer! It wasn't that long ago, sometime in the 1950's, when dishwashing machines emerged as the dish cleaning staple in the kitchen of most homes. At the time, however, variety was limited and getting dishes clean was still a kink manufacturers had not quite worked out. You go shopping for a new refrigerator, and you're on a budget. The best buy is the 'fridge with the lowest sales price, right? Not necessarily. 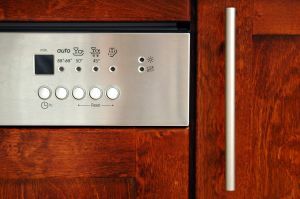 If you buy the lowest-priced refrigerator, you may end up spending more than if you buy a more expensive one. The reason? The cost of owning a home appliance has three components: the initial purchase price, the cost of repairs and maintenance, and the cost to operate it. The benefits of a water purifier are many. These days everyone demands pure, clean and safe drinking water. Everyone is much more aware of the quality of the water running through their drinking and shower systems. As homeowners, it is our responsibility to be informed and aware of the danger of contaminants in our water systems. The level of chlorine in our tap water, for example, can have harmful effects in the long term for certain people. Bottled water is certainly an option, but in the long run, a water purifier is the most economical and practical solution. Water purifiers will filter your water system and guarantee that the water you drink is crystal clear and clean.